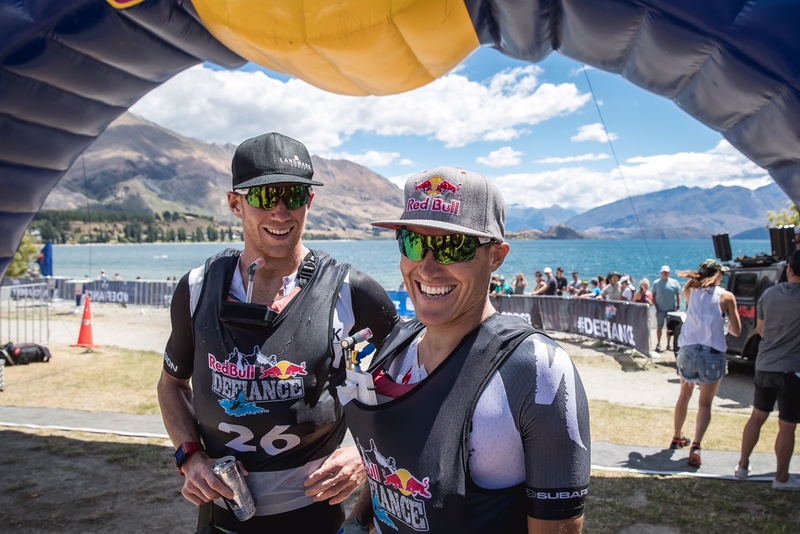 Subaru Brand Ambassador Braden Currie (front) runs through part of the Red Bull Defiance course in Wanaka this weekend, with team mate Dougal Allan. PHOTO: GRAEME MURRAY. 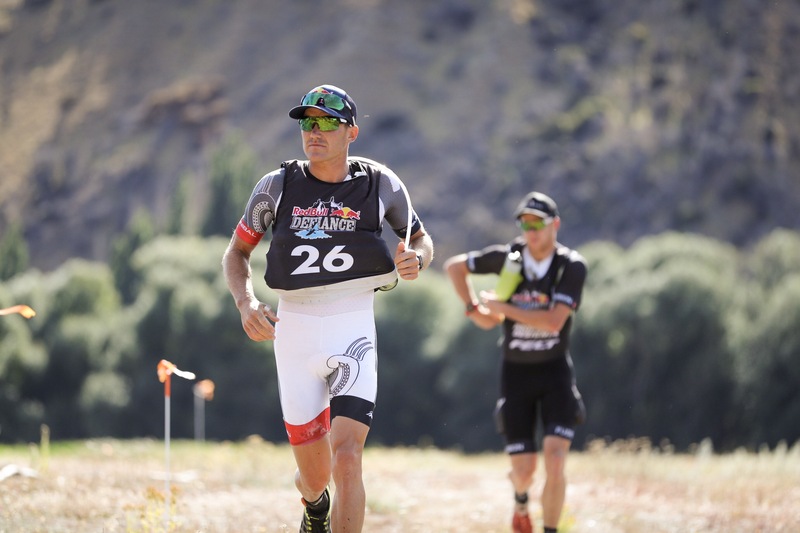 Subaru Brand Ambassador Braden Currie teamed up with good mate and fellow professional athlete Dougal Allan to dominate the two-day Red Bull Defiance multisport event, in Wanaka, this weekend. Racing in scorching, hot weather, Currie and Oamaru’s Allan displayed their world-class credentials, to win the first day - of three stages - by 11 minutes and then stretch the winning margin out to more than 50 minutes by the end of today’s further three stages. It was their 16th race together and their experience shone through over the gruelling race, as they finished in 12hours:14mins:48secs with Queenstown’s Hamish Fleming and Bobby Dean, of Te Puke, second in 13:06:35. Their victory came four years after Currie and Allan won the inaugural Red Bull Defiance in 2014. “We were in a really good rhythm, both of us were in good form. We didn’t have to really hurt ourselves,” Currie adds. After focusing on Ironman racing recently, Currie relished the chance to return to his off-road roots which have seen him crowned as the Coast to Coast champion three times. Today dawned clear as the 85 teams jumped in their kayaks on the Wanaka foreshore and set off on the 20km paddle to Oxbow - The Adventure Company. The pace was fast and furious as the strong kayaking combos battled to gain a buffer on their rivals before they hit the brutal 28km, 1200m of elevation ride that took them up through Criffel Station to the Pisa Range. The temperature was already beginning to rise as the teams began the leg-burning climb and as they sweated their way to the top and raced down to the final transition in the Cardrona Valley, it was already nearing a searing 30degC. Currie’s next race is the Challenge Wanaka Half triathlon on Saturday, February 17.